Is certification an unnecessary complication, the costs and hassle of which far outweigh the benefits, or a helpful and reassuring framework which sets the highest standards for structural and operational safety and safeguards life, property and the sea environment? No one could possibly deny that the large yacht industry is, and has been for some time, in the throes of a boom in spite of a recent downturn since 2008. Some observers would suggest that this is in spite of all the new rules and regulations that seem set to dog the yacht owner’s every move. Others would suggest that it is through the introduction of rules and regulations such as the MCA’s Code of Practice for Safety of Large Commercial Sailing and Motor Vessels that the industry has been given the confidence to expand with such vigour, knowing that their investments are safer – both financially and physically – because of regulation. Classification societies are non-governmental organisations or groups of professionals, ship surveyors and representatives that develop, publish and certify standards and technical rules to ensure an acceptable degree of stability, safety and environmental impact, among other things. 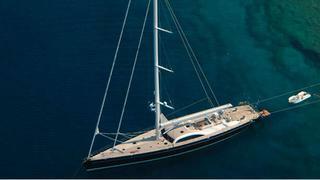 They are authorised to certify yachts and vessels flagged virtually anywhere. New construction and refit surveys carried out by a surveyor from the classification society under which the yacht is built are important inspections that take place at intervals throughout the duration of the project. They ensure that any and every installation, repair, upgrade or modification is carried out to the standards of that society. Classification surveyors are interested in the structural integrity of the hull, installation of equipment, stability, structural, engine and machinery surveys, electrical, electronic and ancillary equipment, rigging inspections, safety recommendations and ultrasonic thickness gauging. Every owner has his own vision of what he wants his yacht to be and designers strive to deliver just that. The fulfillment of this vision in turn becomes paramount in the eyes of the building yard and others who represent the owner, so it is often the policies imposed in the form of building regulations and classification rules that act as the voice of reason. This ultimately allows a balance to be struck between the attainment of that vision and the safety and reliability embodied in the construction of a yacht built to class. A classification certificate attests that the yacht complies with the standards developed and published by the issuing society. Periodic surveying of a yacht in service by the appropriate class surveyor, at intervals dictated by the appropriate classification society, is also required to ensure the vessel continues to meet the rules and thus maintain her in-class status. Should any defects that may affect class become apparent, or if damage is sustained between surveys, the owner or operators are required to inform the society concerned without delay. As independent, self-regulating bodies, classification societies have no commercial interest in design, building, ownership, operation, management, maintenance, repairs, insurance or chartering. Classification rules are not intended as a design code and, in fact, cannot be used as such. These are more generally covered by the flag state, which lays down standards, or codes of practice that dictate construction good practice. Almost every yacht that is launched is bigger or in some way better than the last and, quite often, more complex than its predecessor. As this trend continues, so too is the involvement and role of classification societies increasing and evolving. But what exactly does classification entail, and how is it linked to the statutory requirements of the various flag states? These matters are often misunderstood, which can potentially result in a conflict of responsibility.